We provide high-quality stainless steel plate & stainless steel sheet for many applications including custom fabrication and construction projects. Our stainless steel plate and stainless steel sheet are available in both 304 & 316 stainless steel. We stock a variety of sizes and thicknesses of stainless plate and stainless sheet to meet your specifications. 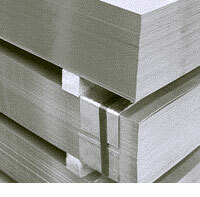 Our stainless steel plate & stainless steel sheet are both available in 304 & 316 stainless steel. Our stainless steel sheet is also available finished and polished on one side. Our stainless plate & sheet has a high corrosion resistance and is manufactured for industrial and harsh environments. View an overview of our product offerings. We stock a variety of high-quality stainless steel plate & stainless steel sheet, pipe, stainless steel fittings and accessories. Please review our product dimensions to confirm your specifications. We also carry a large inventory of stainless pipe, tube, fittings and accessories in multiple sizes. This pipe chart can assist in your selection and guide you to products available at Shaw Stainless. View our specifications on polished sheet, pipe, tube, plate and stainless bar products. Reference our various Grades of stainless steel. Here is our Reference Catalog highlighting our stainless products including our stainless steel plate & stainless steel sheet offerings. Our reference catalog features stainless plate and other stainless steel products and accessories. Stainless steel plate can be used in various applications such as structural supports, base plates for various equipment, flooring, brackets and many other pieces cut by lasers. Many industries use stainless steel plate in the construction of corrosive, and harsh chemical environment equipment. Some of these industries include: food and beverage processing, pharmaceutical, chemical processing, water treatment, power generation and high heat environments.